On this day, January 13, 1967, artist illustrator Lisa Hunt was born in Spokane, Washington. Hunt studied interdisciplinary studies at the Union Institute. 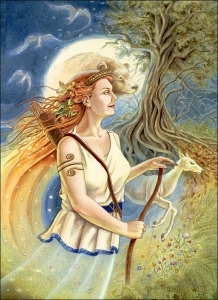 Hunt creates illustrations for tarot decks and she us the writer/illustrator of a meditation book, Celestial Goddesses.